The Carlyle Group buys AxleTech International - Greening Inc. The Carlyle Group, one of the largest private equity firms in the United States, has announced the purchase of AxleTech International from its current owner, aerospace and defense company General Dynamics. 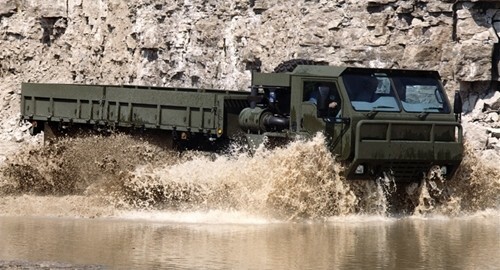 AxleTech, headquartered in Troy, Michigan, specializes in the manufacture of axles, brakes and related components for military vehicles, off-highway machines and specialty trucks in industries including agriculture, construction and mining. AxleTech, a century-old company, was briefly owned by Carlyle between 2005 and 2008. Besides its Troy headquarters, it has distribution, engineering and manufacturing facilities in Chicago and Oshkosh, Wisconsin, as well as in Osasco in Brazil and Saint-Étienne in France, and distributes to all continents. The company's management has been restructured as part of the deal, with former CEO Mary Petrovich returning as executive chairman and current general manager Joe Mejaly taking over the CEO position. "In partnership with Mary and Joe we will help AxleTech grow its market share through a relentless commitment to innovation, quality and service," said Carlyle managing director Adam Glucksman, per the official press release. "We are delighted Mary is rejoining the firm as Executive Chairman. She is a remarkable leader with a track record of value creation for her customers and our investors." Among The Carlyle Group's existing automotive assets are Allison Transmission and The Hertz Corporation. The Carlyle Equity Opportunity Fund, which specializes in mid-market acquisitions, provided the capital for this transaction. AxleTech's products include S-cam and wedge drum brakes, dry and wet hydraulic disc brakes and park brakes, which it supplies to aftermarket and original equipment manufacturers for commercial and defense customers around the world. Greening has half a century of experience in commercial vehicle brake testing, serving many leading manufacturers. Fill out the form on our website for more information on contracting our services.